This listing is for one ‘I love you in the morning and in the afternoon. 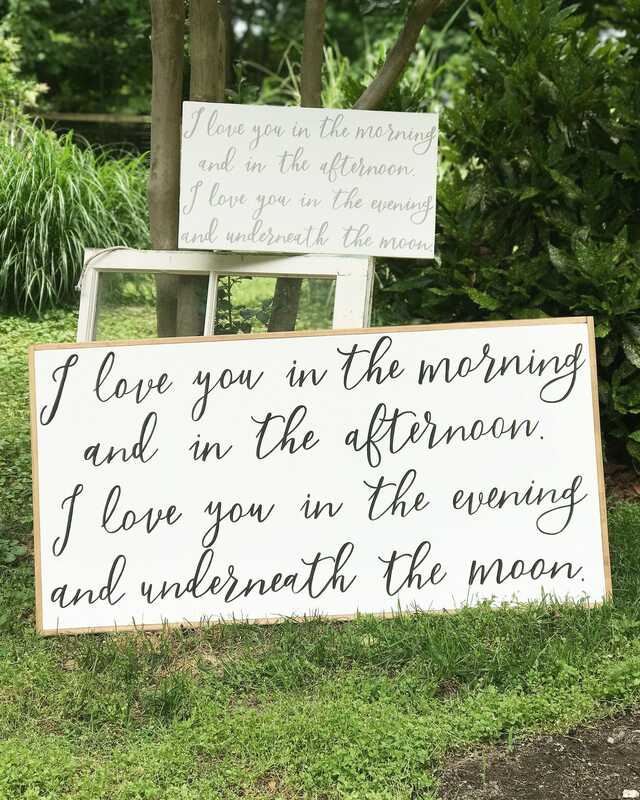 I love you in the evening and underneath the moon' home décor sign. Each sign is made to order and hand painted so each sign can come in different colors. If you have specific paint colors, please specify when ordering!!! If no color is specified- the sign will be painted as defaulted. If you would like to guarantee that your item ships within the next day of ordering, you must purchase the listing provided below - Please also allow 2 days for USPS delivery. *Since these are made with wood and hand painted, wood grains and lettering may vary slightly. -Please note: These items are handmade, hand cut, and hand painted. Therefore perfection is not always possible. 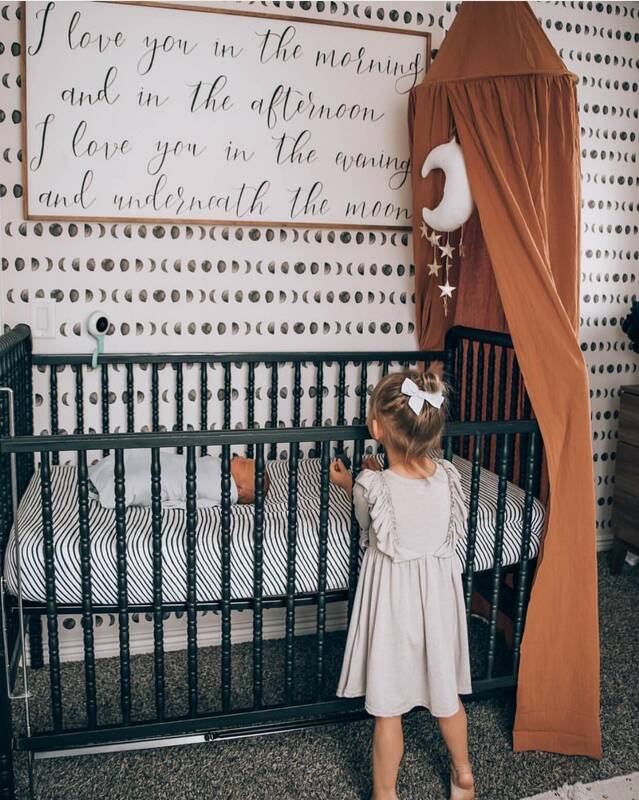 Due to lumber, the wood may vary slightly from the picture and have imperfections or a slightly different wood grain, which makes each sign one even more special and of a kind! *All of our products are made with love! Items must be paid in full on day of purchase. I use USPS or FEDEX to ship all my sold items. All orders are made to order and will be shipped within 2-3 weeks of payment. (may be sooner) If you need it shipped sooner than that, please contact me. Sutley Home IS NOT RESPONSIBLE FOR LOST OR DAMAGED ITEMS VIA SHIPPING. Please contact us if a situation arises, and we will be happy to work something out. If your item is returned to me as undeliverable by USPS because of the wrong address being provided, we are not responsible for paying for the item to be reshipped. We are also not responsible if there is a delay in delivery due to the carrier. Customer satisfaction is my absolute number one priority! If you have any problems with your items, your items are lost or damaged during shipping, or you simply have a concern or question regarding your item, please do not hesitate to contact me. You WILL be asked to provide photo proof of damage. Etsy Courtesy: If for any reason you are terribly unhappy with your purchase, please do not go to the extent of writing a negative review or giving a negative rating, Our shops depend on our status, and most, if not all Etsy sellers are more than willing go above and beyond to ensure our customer's satisfaction. We are here for you! -Please let us know when you place your order if you would like a wall hanger attached to any sign. Some signs do not come with a wall hanger but if specified we will attach one for you. -Wooden signs and shelf units should be hung using a rated fastener, we are not responsible for damaged items nor personal damage due to poor hanging of item. -Please follow the manufacturer's instructions for the hanging hardware you use to mount your sign to wall. By completing your order, you waive Sutley Home from all liability associated with damages, injuries or accidents occurred once the package arrives at your home.